Gladiators of the Cage (GOTC) has officially released the fight card for their July 20th event at the Stage A.E. arena in Pittsburgh, Pennsylvania. The event, titled “Northshore’s Rise to Power II,” has five professional bouts and nine amateur bouts. The card is still subject to change. The Main Event of the evening is Chris Dempsey (5-1-0) drawing Lewis “The Beast” Rumsey (9-9-0). According to the official card release on MixedMartialArts.com, Dempsey vs. Rumsey will be a title fight; the official fight poster has Dempsey weighing at 185 and Rumsey weighing at 190. While no official weight class has been declared, the fight will likely be for the GOTC Middleweight Championship. 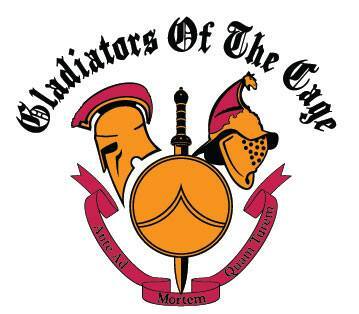 Chris Dempsey is coming into the fight as the franchise fighter for Gladiators of the Cage, having fought three of his six fights for the GOTC promotion. Dempsey is coming off of a three fight unanimous decision win streak going into the fight with Rumsey. Lewis “The Beast” Rumsey is coming into the GOTC cage with three times the fight experience that Chris Dempsey possesses. This is the first pro title fight for both contenders. Also on the Northshore Rise to Power II card is Jason “The Whip” Willett, who has just signed a three fight deal with the promotion; Willett will be taking on Mike Wilkins. Complete Devastation MMA title contender Zachary Shultz will be fighting David Keys , Jessica Richman will be taking on Jaime Chesney and Clark Young will be looking to break his two-fight losing streak against O.J. Vickers.